The island of Aruba was discovered by Amerigo Vespucci and Alonso de Ojeda in 1499. They both described the island as an 'island of giants' due to the large stature of Caquetios compared to that of Europeans. The Caquetíos Amerinds from the Arawaks of Venezuela are the earliest recorded dwellers of the Aruba. They are said to have emigrated due to constant attacks from the Caribs. Heavy currents made travelling to the island via Canoes a perilous journey. The culture of the Caquetios Amerinds therefore remained sheltered from outside influence until the arrival of European priests in the early 1500's. Like in other areas, the Spanish crown took advantage of the hospitality of the locals to conquer and colonize them. 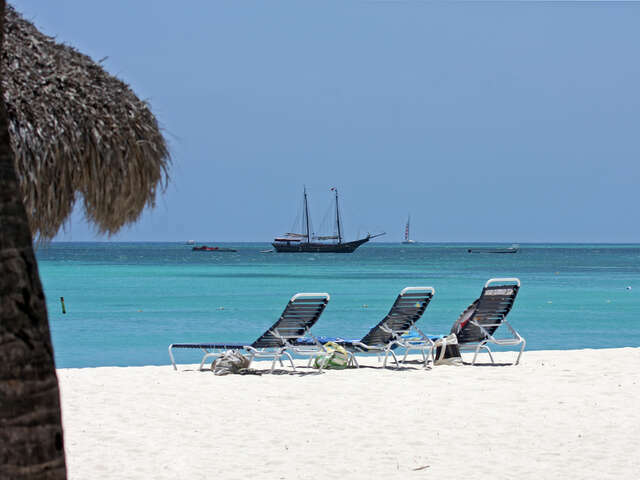 Until 2005, Aruba's most attractive feature was a natural limestone bridge in the northern shore. Despite the collapse of the bridge, the tropical semi-arid weather of the country still helps the country make three quarters of its GDP from tourism. You are welcome to visit the country and find out why it's one of the most popular holiday destinations in the Caribbean.